said a coalition victory Sunday, the boss Haider al - Abadi is still " the strongest candidate and front - runner" for the post of prime minister, between the religious authority called for a return to those who enjoy the "wisdom and experience" in the reform. A member of the coalition victory Ali al- Sunaid in a press release received Alsumaria News a copy of it, "compared to the achievement achieved by Haider Abadi Balnstazarly organizing the call for an end to sectarianism, and to stop the economic collapse, and thwart projects to divide Iraq , as well as the great success in building Arab, regional and international relations, "We find that Abbadi is still the strongest and most likely candidate in the position of prime minister." Al-Sunaid added that he is the best candidate, "especially after the talk of the reference last Friday, which pointed to the need to return to those who have the wisdom and experience in the reform," stressing that "we in the victory is still Abadi, our candidate for prime minister." 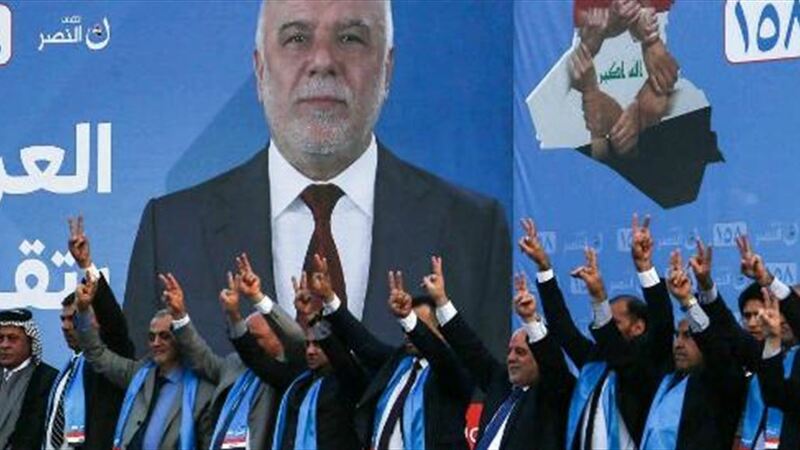 The coalition of victory, led by Prime Minister Haider Abadi, said Wednesday (September 12, 2018), that his project save me for the country, pointing out that his only candidate for prime minister is Abadi.